Feblowitz Energy Consulting provides consulting services to energy providers. This includes utilities, both regulated and unregulated divisions within the parent company, merchant generation, competitive retail energy companies and distributed energy resource providers. Jill Feblowitz is an internationally recognized expert in innovation in the energy industry. With over 30 years of experience in the industry, she understands how to help energy companies be successful. Jill’s experience and research skills make her an expert in energy markets, business models, operations, policy, regulation and technologies. She has a historical perspective on the industry as well as a keen sense of game-changers – renewables, distributed energy resources, utility-scale storage, electric vehicles, grid modernization and smart cities. For the last fifteen years, Ms. Feblowitz has been providing research and guidance to energy companies as an industry analyst. 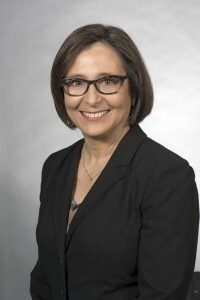 She has provided advice to energy executives on business and technology strategy and to suppliers of the energy industry on product development, marketing and sales. Through her career as an analyst she has covered key business initiatives for utilities (reliable and efficient operations & maintenance, energy trading & risk management, security, customer engagement, energy efficiency, etc.) and oil & gas companies (digital oilfield, production optimization, integrated operations, pipeline integrity, etc). Ms. Feblowitz was a major contributor to building IDC Energy Insights’ research business from the ground up. As Vice President of IDC Energy Insights, she had responsibility for the business unit P&L, business development, marketing and leading a team of analysts with global coverage. Over the last several years, she has been involved in advising energy leaders on the application of emerging technologies such as cloud, Big Data, analytics, mobility, and edge computing. She also worked as an associate analyst at the Meta Group (now Gartner) and as Director of the Energy Practice at AMR Research. As a consultant at XENERGY, Inc (now DNV GL), Ms. Feblowitz worked for eight years on energy efficiency and deregulation. She lead cross-organizational teams of market analysts, engineers, and programmers to deliver turnkey energy audit software services for residential and commercial industrial customers and performed statistical analysis for evaluation of utility demand-side management programs. In the early 90s as deregulation came to the utility industry, she ran the back office for XENERGY’s competitive retail business and advised utilities on information technology, business processes and infrastructure requirements for deregulation. Ms. Feblowitz not only knows megawatts, but she also knows watts, having spent 10 years as a construction electrician. She holds journeyman and master electrician’s licenses in the Commonwealth of Massachusetts. Her interest in smart cities is rooted in her studies at MIT where she received a Bachelor of Science degree in urban studies. Feblowitz Energy Consulting is certified as a Woman-owned Business Enterprise by the Commonwealth of Massachusetts.